Scientific Assistant/C Mechanical: Candidates who have completed diploma* in Mechanical Engineering or equivalent from a recognized Institute for BARC Recruitment 2018. Scientific Assistant/C Electrical: Candidates who have completed Diploma* in Electrical Engineering or equivalent from a recognized Institute for BARC Recruitment 2018. Scientific Assistant/C Metallurgy: Candidates who have completed Diploma* in Metallurgical Engineering or equivalent from a recognized Institute for BARC Recruitment 2018. Scientific Assistant/C Chemical: Candidates who have completed Diploma* in Chemical Engineering or equivalent from a recognized Institute for BARC Recruitment 2018. Scientific Assistant/C Civil: Candidates who have completed Diploma* in Civil Engineering or equivalent from a recognized Institute for BARC Recruitment 2018. Scientific Assistant/C Computer Science: Candidates who have completed Diploma* in Computer Science or equivalent from a recognized Institute for BARC Recruitment 2018. Scientific Assistant/C Electronics & Instrumentation: Candidates who have completed Diploma* in Electronics / Instrumentation/ Electronics & Instrumentation Engineering. Scientific Assistant/C Chemistry: Candidates who have completed Minimum 60% marks in B.Sc. (Chemistry as principal and Physics/Mathematics/Statistics/ Biology as subsidiary subjects) or equivalent from a recognized Institute for BARC Recruitment 2018. Scientific Assistant/C Physics: Candidates who have completed Minimum 60% marks in B.Sc. (Physics as principal and Chemistry/Mathematics/Statistics / Electronics/ Computer Science as subsidiary subjects) or equivalent from a recognized Institute for BARC Recruitment 2018. Technician/B Plant Operator: Candidates who have completed HSc in Science stream (with Physics, Chemistry and Maths subjects) with a minimum 60% marks in aggregate or equivalent from a recognized Institute for BARC Recruitment 2018. Technician/B Laboratory: Candidates who have completed HSc in Science stream (with Physics, Chemistry, Maths & Biology subjects) with a minimum 60% marks in aggregate or equivalent from a recognized Institute for BARC Recruitment 2018. Technician/C A/C Mechanic, Fitter, Welder, Machinist, Electrical, Electronics & Instrumentation, Mechanical: Candidates who have completed SSC (with Science and Maths) with a minimum 60% marks in aggregate PLUS trade certificate in A/C Mechanic/ Fitter/ Welder/ Machinist/ Electrical/ Electronics/ Instrumentation/ or equivalent from a recognized Institute for BARC Recruitment 2018. 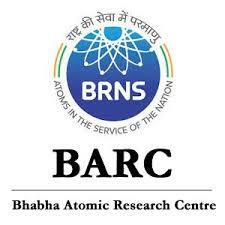 Eligible & Interested candidates can apply via online in Official website page in www.barc.gov.in BARC Recruitment 2018. Log on to the BARC careers page at the official website www.barc.gov.in.